Perhaps you will decide on the supplier of your MOT equipment on the basis of a manufacturer brand name? Potentially you sought advice from another garage in your area and used those experiences to make your decision… Perhaps you are only motivated by price ignoring the long term ramifications. But whatever the reason for the new capital equipment requirement, speaking to GETECH would be a shrewd choice. Firstly, even though we are manufacturers we supply direct to you the end user garage – this means we can provide you with our best price at all times. Secondly, our modern digital and totally modular solutions all come with an extended 5 year parts warranty as standard which outstrips competitor offerings by some margin and thirdly; we manage all our customers in-house with our own service department so in rare times of distress we can immediately assist with high quality support. We offer you additional warranty for one reason alone – It allows you to understand the quality of the equipment you purchase when opting for GETECH equipment. Our competition don’t want you to know, but it’s no secret that most of the main equipment in our packages is manufactured in Holland by the same production facility that produces the “brand name” products – Therefore you are assured of no reduction in the quality of the equipment you purchase, you are merely improving the post sale field warranty on the purchase you are making and cutting out a distribution loop by dealing directly with us as the manufacturing importer. Our own brand name is very important to us, your long term commitment to us as a customer critical; so you can be assured that we will fully support you from the moment you commit to an order through the entire product lifespan with good “old-fashioned” service. Our retro approach to our support is mirrored in our products. By opting to design our equipment in a modular format we offer the opportunity for a bespoke mot bay which can grow alongside the development of your business and by utilising industrial components rather than PC’s we are able to deliver a consistently more stable testing platform than our competitors. So if you want a free quote, site visit, advice or just a general chat pick up the phone and call. We can be reached during normal office hours on 0844 800 9785. 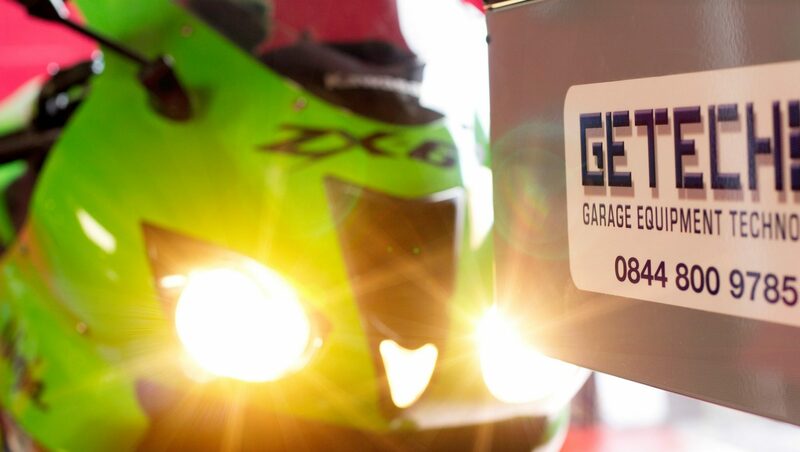 GETECH supply MOT bays & equipment for all vehicle classes. As a manufacturer within the MOT scheme we are perfectly positioned to remain abridged of current and future known legislation. With a design ethos for total modularity, our equipment is some of the most flexible currently available in the UK. For more information on GETECH call during office hours, visit http://getech.org.uk or mail info@getech.org.uk.